Would you believe it? There’s nothing good out on Halloween. 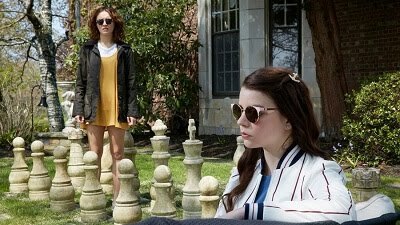 But fear not, because I’m busy previewing and getting ready for the Other Israel Film Festival, which begins this Thursday in New York, and I have reviews of a handful of films being released next weekend on the way too. 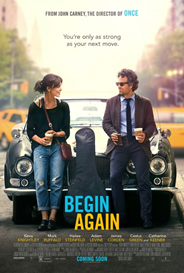 Begin Again (recommended): Writer-director John Carney, famous for the unforgettable “Once,” has made another movie about two people finding each other through music that isn’t quite as magical but is still extremely entertaining and alluring, filled with great music and a charming cast. Wish I Was Here (recommended): Zach Braff’s second directorial effort, which was at Sundance this year, is no “Garden State,” but it does have plenty to say about parenthood, Judaism, and other things. The cast is fun and the film is flighty but enjoyable. 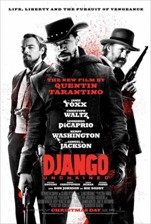 Django Unchained (mixed bag): There's plenty to admire about Quentin Tarantino's bloody trip to the Old West, namely Christoph Waltz's Oscar-winning performance. It can't compare to his previous, more compelling film "Inglourious Basterds," but it's still worth a watch for Tarantino devotees.